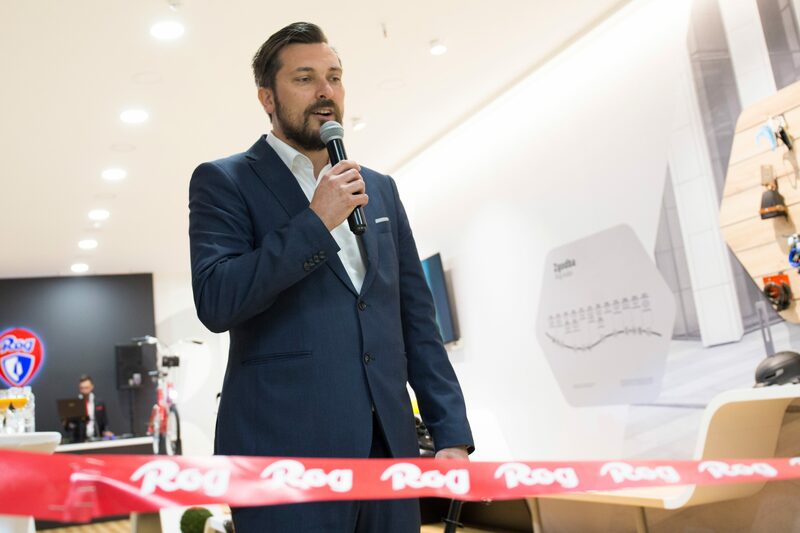 Exactly five months after the presentation and the beginning of the sales of the legendary Pony bikes, Rog opened a special showroom in Hall A of the BTC City shopping centre in Ljubljana, where visitors will be able to view, test and buy bikes, also the unique limited edition ones, and other products from the Rog product range. Later, servicing will also be available there. 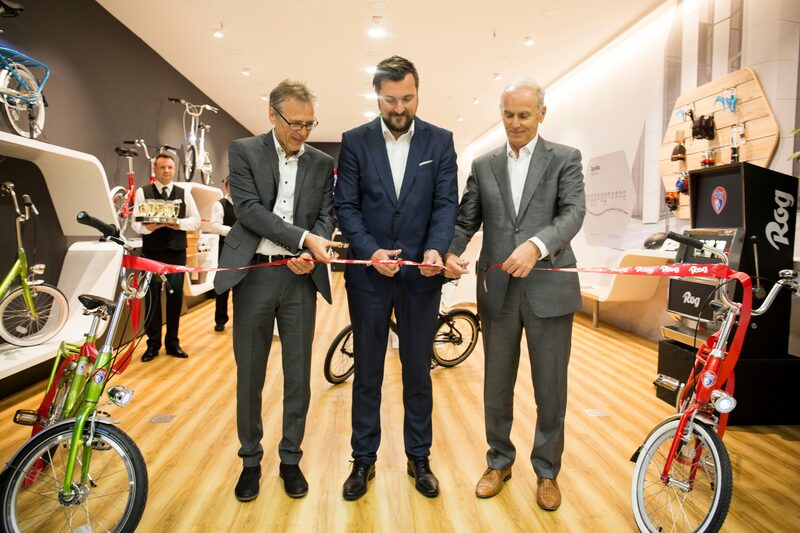 Opening of the Rog showroom represents the beginning of sales of Pony bikes, the modern and attractive bikes with even more refined ergonomics and top quality materials. 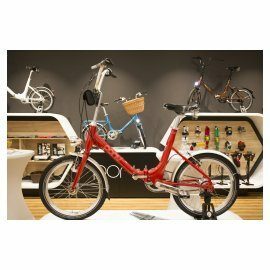 There are as many as 28 versions available, including bikes with a fixed gear ratio and bikes with three or five gears and many different colour combinations. At the opening, limited edition Pony bikes were given to some well-known Slovenians, including Peter Poles, Tjaša Kokalj Jerala and Ciril Komotar, better known under his blogger name of Komotar minuta, who were very excited about riding around the showroom and seeing how easily their new aluminium roadsters can be folded. The bikes can be adapted to users with various body builds, also children, since even the hand brakes can be adjusted to suit absolutely anyone. 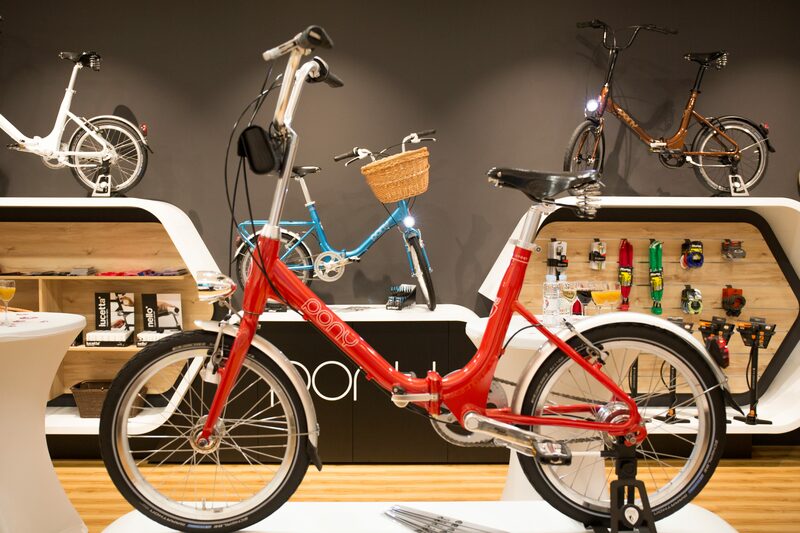 “The opening of the showroom is a new milestone in the story of the modern Pony bikes, which are currently in great demand. We are noticing an increase in orders. 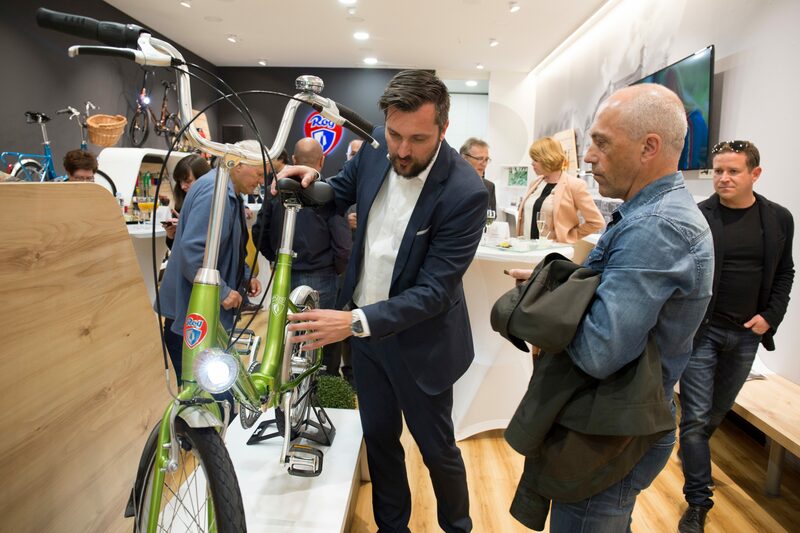 Until now, bike lovers could only admire the Pony bikes on the website, but from now on they will be able to do this at BTC City, where they can also test them and make sure of their quality. The bikes are a product of Slovenian knowledge and research. In the coming days they will definitely be seen on the Slovenian roads, since we have already started production and delivered the first bikes to their new owners. I would like to thank everyone who has helped us set up the new showroom, where in the future, interesting events will be organized. 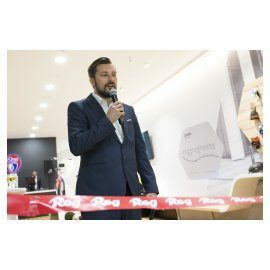 A special thank you goes to Gorenje and BTC - the owners of GOR Kolesa,” said the company director Rok Lesjak. More information about the bikes, including their technical specifications and colours, are available at www.rogbikes.com, while Rog would like to invite anyone to come and see the bikes any working day between 9 a.m. and 8 p.m. at Hall A at BTC City, where the friendly staff will be happy to give you more detailed information.